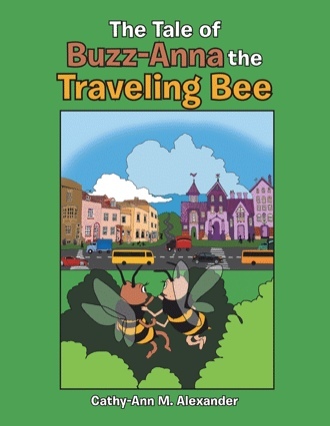 The Tale of Buzz-Ann the Travelling Bee is the story about a little bee named Buzz-Anna who lived in a small town called Bees-Ville with her mother, Tree-Lisa, her father Comb-Ba, her sister Honey-Sha, and her brother Nest-er. Buzz-Anna hated her small town of Bees-Ville and dreamed of moving to a big city. But day after day, Buzz-Anna found herself still living in her small town. One day Buzz-Anna and her best friend Wax-Ann went exploring through the forest when they discovered a new world on the other side of the forest. Buzz-Ann knew that this was going to be her way out to the big city. The Tale of Buzz-Ann the Travelling Bee will take you on a journey as Buzz-Anna travels through her newly discovered world, to find a big city and follow her dream of finding and marrying a prince. The Tale of Buzz-Anna the Travelling Bee is a children’s book about following your dreams. This is a book written to remind children that they should never limit themselves, to think outside the box, and to always follow their dreams. What are you supposed to produce in your life? How do you find the discipline to do what’s needed for your life? You’re born with the innate ability to have a vision for your life. However, along the way, you may lose the ability to clearly define your vision. Sometimes, you will need to refocus and gain clarity on where you are in life. Sometimes, clarity can come through self-motivation. Sometimes however, you may need a little jump-start. A few motivational words can do just that. When you are challenged by life’s responsibilities, you must find a way to detach from the outcome and stay in the present moment. You must be clear about where you’re going and what you want to achieve. 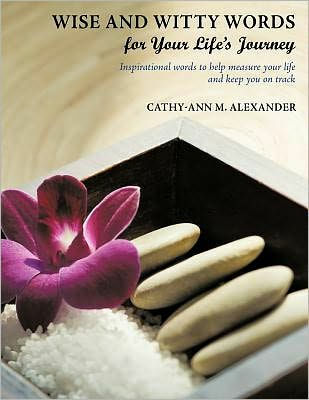 Wise and Witty Words for your Life’s Journey consists of a combination of inspirational words, guiding lights, or simply just quotes to help re-direct your life and keep you on track. My intent is that as I share these guiding lights with you, they will help to outline your life’s vision. Be inspired to change your thoughts and gain insight into your great possibilities.